Your bathroom should be a haven of tranquility—fresh, clean and pure. Showers are a key element of everyday life and are no longer just a place to get clean, but also a place to refresh yourself and get energized to start the day. At Luxury Bath of Raleigh, our bathroom contractors and designers understand your longing for a stylish and unique shower space. With a wide range of colors and textures to choose from, we’re confident that we can help you achieve your dream bathroom, perfectly suited to your family needs. With many years of bathroom remodeling experience behind us, we’ve helped design and install hundreds of Raleigh showers across the Triangle area and beyond. Shower Replacement – Replacing your shower takes years off your bathroom's age, giving it a completely new and beautiful appearance. 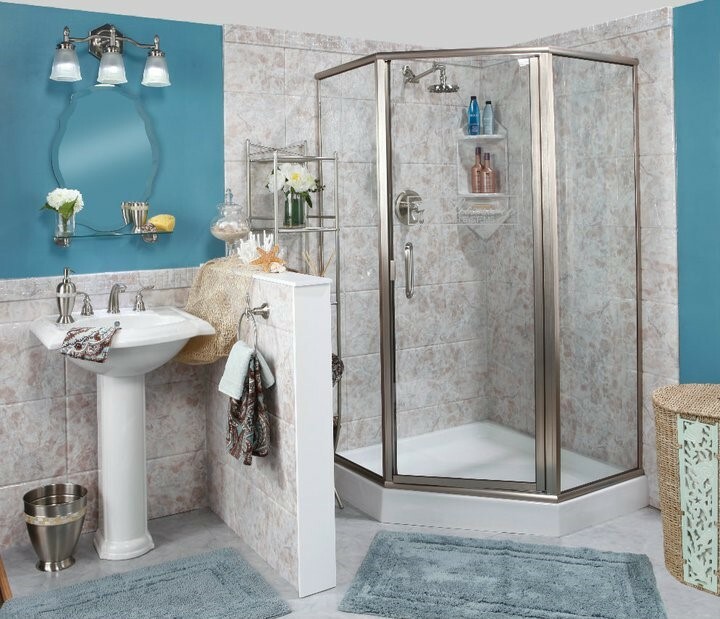 Shower Makeover – If you have an old and unsightly shower, it's time to see the difference one of our expert shower makeovers can make! Shower Surfaces – Create the look to perfectly complement your home's style and design with our near unlimited shower surface options. Walk-in Shower – For those with limited mobility, a walk-in shower could be the ultimate solution for independent and easy cleaning. New showers can make a world of difference in your home. Depend on our experienced and highly trained professionals to offer the Raleigh shower installation services you need to feel confident in your remodel. All of our products use the highest-quality materials and are guaranteed for a lifetime. Whatever space you have to work with, our luxury bathroom showers will enhance your room, making it look larger and more spacious. We even offer tub-to-shower conversions that can be completed by our bathroom contractors in as little as 1 to 2 days. Look no further for shower installation in Raleigh than Luxury Bath! If you're ready to get started on your bathroom remodel and shower renovation, speak with a design consultant today to learn more. You can give us a call or fill out our online form to request your free, in-home estimate.